As police try to retrace the steps of an Iowa college student who disappeared earlier this month, new information suggests she was doing homework late on the night she vanished. 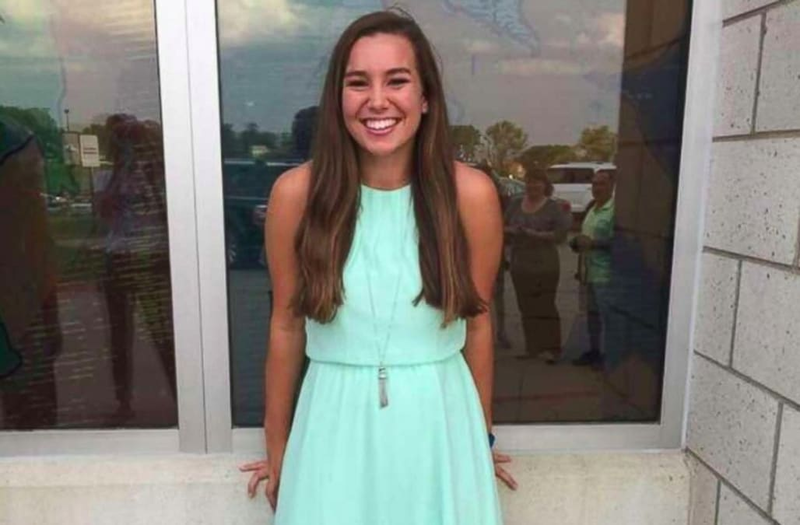 Mollie Tibbetts, 20, disappeared after going for a jog near her boyfriend’s home in Brooklyn, Iowa, on July 18. She was dogsitting for her boyfriend who was out of town for a construction job at the time. It’s unclear if she returned home after the jog but new information shows Tibbetts’ boyfriend, Dalton Jack, received a Snapchat from her around 10 p.m., which appeared to be taken inside. Family members said Tibbetts is a creature of habit and usually runs each day, taking one of three routes in the area. "I read somewhere that she was running in a cornfield. That's obviously not true," Kim Calderwood, her aunt, told ABC News. "The run happened and then she was at the house as far as we know. I don't think she would've run in the dark." The next day, Tibbetts didn’t show up for work. Authorities have yet to give an official timeline; however, police have been combing through information from Tibbetts’ Fitbit, which she always wore, as well as her cellphone and social media accounts. Crime Stoppers is now offering $1,000 for any information in the 20-year-old's disappearance.